David Gifford managed to take this photo of a scared seal escaping from an orca at the weekend. A PHOTO of a seal desperately seeking refuge on rocks in Shetland’s south mainland as an orca passes just inches away has caught the attention. David Gifford snapped the scared seal on Saturday afternoon when he was taking photographs of a pod of orcas at Sumburgh Head and Grutness. He said as far as he was aware the stricken seal managed to escape unharmed. Orcas prey on a number of marine animals, including seals. “There was quite a large swell, which made for a dramatic spectacle with the orcas breaching and ‘surfing’ through the waves,” Gifford said. 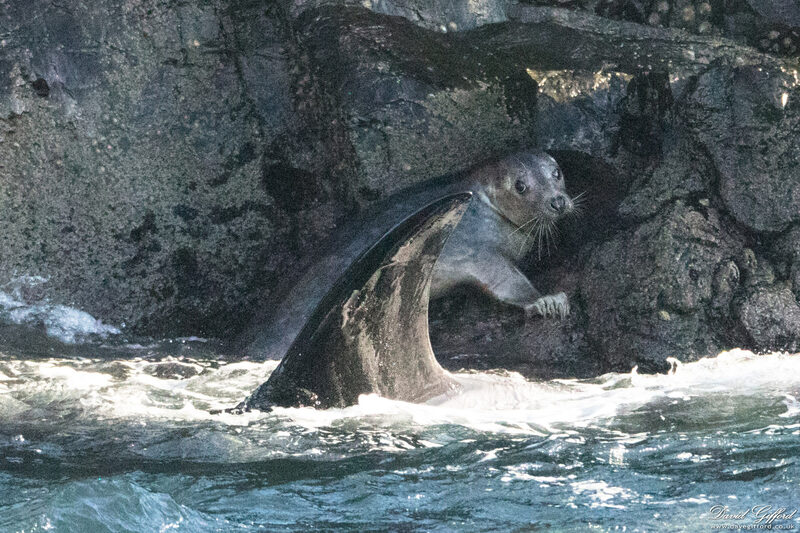 “The pod spent some time, about 10 minutes, close-in to the rocks in the photos, where a couple of seals took refuge. 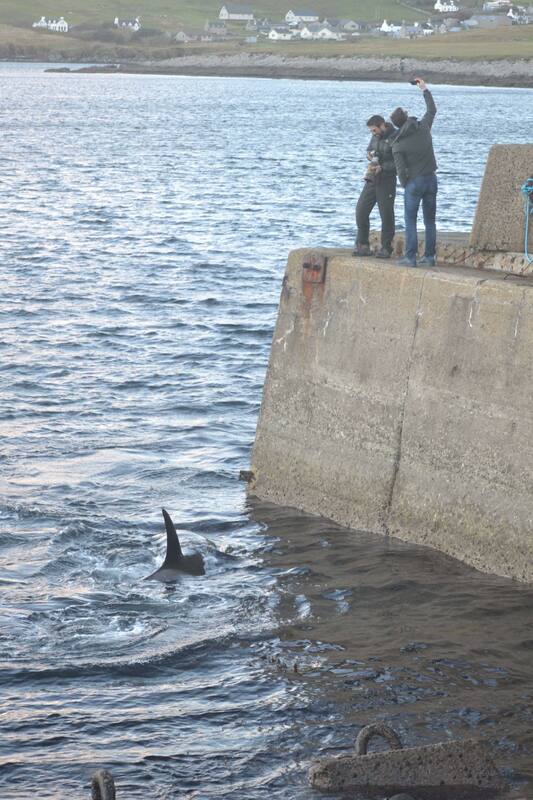 There was a photo of a somewhat different kind, meanwhile, as orcas visited Shetland at the weekend. Balazs Onhausz getting up close and personal with an orca in Sandwick. Balazs Onhausz managed to grab a selfie of himself with an orca in Sandwick on Saturday. The photo was taken at Broonie’s Taing as the killer whale swam near to land. “Basically we were chasing the orcas all afternoon on Saturday,” Balazs said. Balazs Onhausz taking a selfie, as photographed by Melissa Mayo. “My girlfriend is massive orca lover and she takes photos of them whenever she can. It’s her passion really. So I just was a driver mostly, and we ended up in Sandwick. We did not see them right away when we got there so we were walking down to the pier. “She was heading to the left and I thought I would go to the right so we had better chances to find them. I was the lucky one because they rolled in right close up on the pier and were swimming along it. 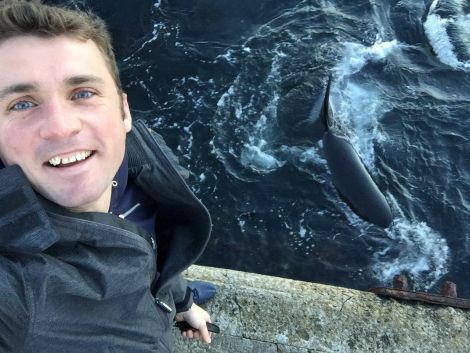 “I’m not joking, one of them was floating up to me slowly on its side and looked at me for long seconds and that was the time when I turned my camera around and took that selfie.